I have been searching for an official list of items and work performed at both of these services referenced in the subject but have been unable to find anything specific to model code 0D12. 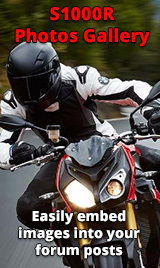 Reason I need this is because I believe the dealer I am taking my motorcycle to is not doing all the work that needs to be done and I want to be prepared when I call them out on their laziness and cutting of corners. Does anyone here have this and would be so kind as to provide? If not, please point me in the right direction. Much obliged. What do you think they've not done? Thank you. I had seen this already and will use it as a guide if nothing better comes about but the model code differs and I'd like to be specific so they have no excuse. When I took delivery of the bike, 5 miles away from the dealer the bike turns off as soon as I put it in first from neutral and stopped at a traffic light. Clutch still pulled in. Almost get rear-ended. Had to push the bike across three lanes of busy traffic to a gas station where I called the dealer and they told me to ride it back. I calmly explained to them that every time I put the bike in gear it would turn off so that wasn't possible. When they didn't offer to pick it up I told them that I would call them back while I tried to figure out what was happening. Turns out the gray lock tab on the connector to the sidestand had not been locked in place. Shouldn't connectors and cables and the like be checked out for proper operation before turning a vehicle over? I think so. For the running-in the service message never displayed which points to the date and/or countdown distance not being properly set during pre-delivery. No biggie, I caught it before the running-in interval ended. Get the service done and then notice that the bike still has a hard 9K rpm limit which was supposed to be removed. These are just the things that I know about. I have lost trust in this dealer and they are supposed to be the best in the area. This is beginning to make me lose trust in the bike itself just because not all the required work has been performed. Who knows where else they may have cut corners. Was the steering head bearing adjusted? That sounds pretty important. Does the bike have all updates? At this point who knows. My apologies for the rant but I'm pretty upset about all this. So the sidestand switch did work when you picked up the bike. Perhaps they did check that it functioned properly, and it did? I've had 5 new BMW motorcycles in the past 3 years, and not one of them displayed the "SERVICE" message for the running in check. So maybe my dealer is bad too. My dealer gives me a checklist that the mechanic completes, I'll see if I can dig it out. Found it, see below. NOTE - my bike didn't have the 9K limiter. I get the impression that your anger is a result of the dealer refusing to help when you were stranded. I would be angry too, that is not acceptable. I didn't think any of our bikes had a hard 9k rev limiter. I thought that was only on the RR. I think a good recheck is called for on your bike. How reputable is that dealer anyway? The black connector to the sidestand was in place when I picked up the bike but the gray lock tab was not engaged which led to the connector becoming loose and the engine shut off. If the functionality had been checked it would have passed. The issue was it not being locked in place. The dealer themselves told me that the SERVICE message should have displayed. Thanks for the attachment. I'm going to ask them for my checklist. At this point my frustration is over all these little issues adding up. It seems some models have the limit while others don't. Not sure if it has to do with US models, model years, packages, colors, or what but I assure you mine has one which should have been removed at the running-in check and was not. At this point what I would like them to do is follow BMW's maintenance schedule for the pre-delivery and running-in and not skip any items. At that point I'll go to another dealer even though this is supposed to be the best in the area.